Left to right: Mayor Lee Pratt, City of Cranbrook and Ted Dergousoff, CEO, C&C Wood Products. Photo City of Cranbrook. 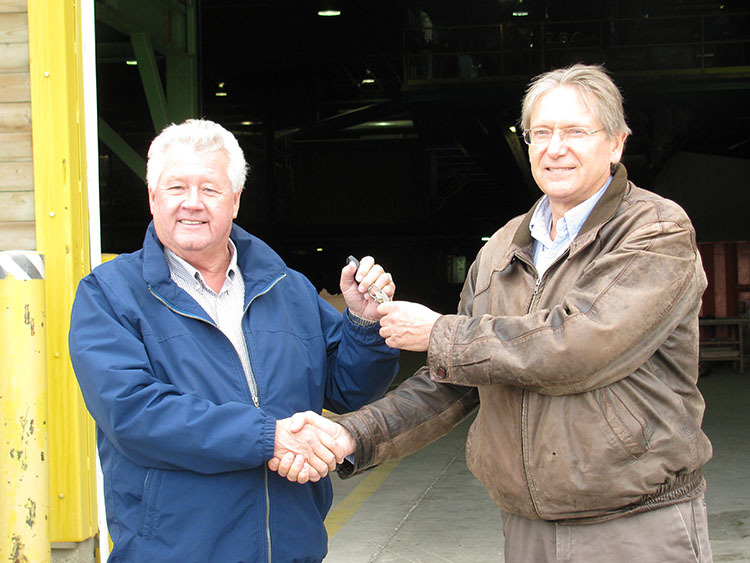 Cranbrook, BC (October 4, 2018) -- Mayor Lee Pratt handed over the keys to the former Tembec finger joint plant Thursday, to C&C Wood Products, who are taking over the facility. 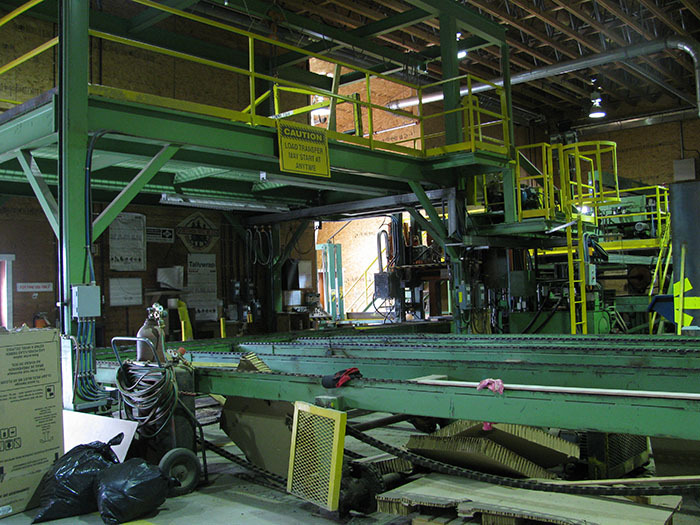 The keys were accepted by Ted Dergousoff, CEO of C&C Wood Products, which specializes in the production of wood trim and siding. Once the plant is up and running, by summer 2019, it will employ up to 20 workers per shift. This is the first announcement of new business utilizing the former Tembec lands, purchased by the City of Cranbrook, which was announced back in August. One of the biggest hurdles for attracting new industry and jobs has been the availability of industrial zone land. 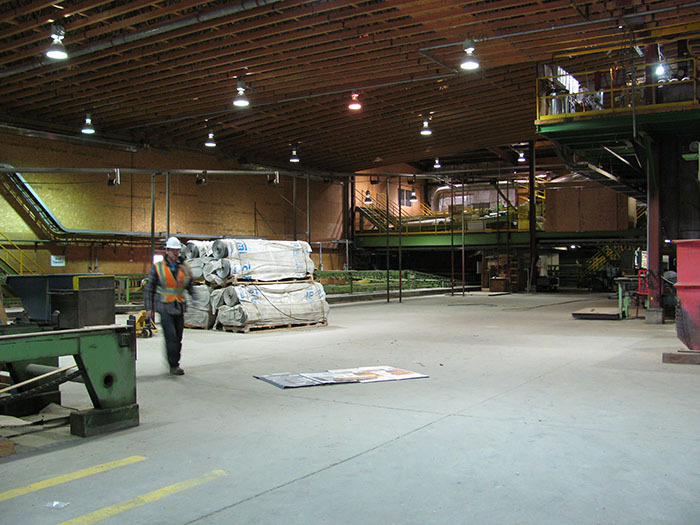 The purchase of the 100 acre property was a strategic move for Cranbrook intended on bringing many benefits to the business community, a sustainable economy and growth and jobs for the City.